Home News Live-streaming: why are Canadian opera productions missing from the worldwide phenomenon? 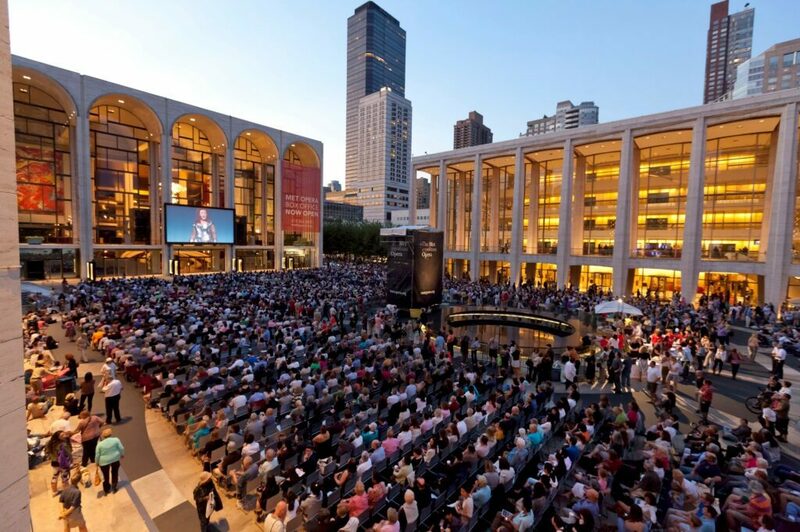 The availability of live-streamed and on-demand opera has exploded in the last five years. Major companies like Royal Opera House (Covent Garden), Opéra national de Paris, Grand Teatre del Liceu (Barcelona) and Vienna State Opera have cinema distribution deals followed by DVD releases. Many more stream their productions on the internet and make them available to a global audience free of charge for a period of time. Some do it through the legacy media—Glyndebourne for example, via the Guardian and Daily Telegraph websites, and just about all the French opera companies and orchestras on the website Culturebox, run by a consortium of French public TV stations. 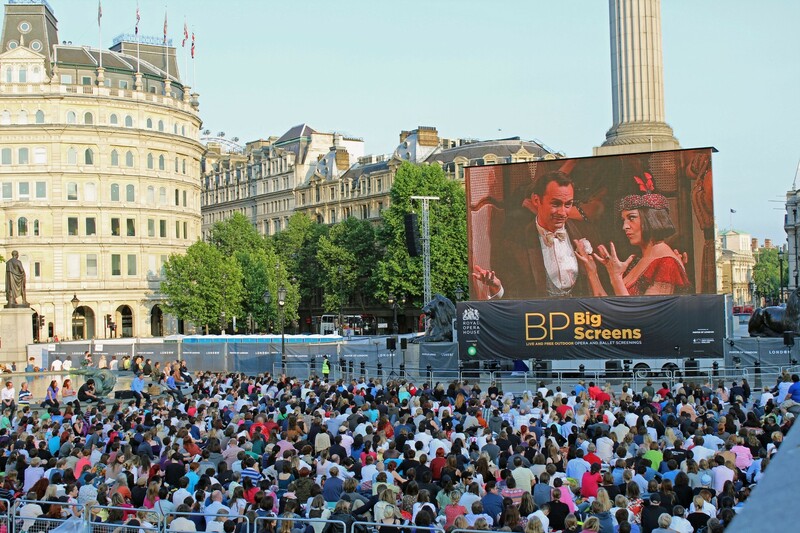 Others stream through the EU-supported OperaVision platform (which transmits productions from 30 opera houses across and outside Europe) and still others via their own in-house streaming program: Bavarian State Opera (Munich) streams gratis; Vienna State Opera and Berlin Philharmonic charge the cinema ticket equivalent per streaming. 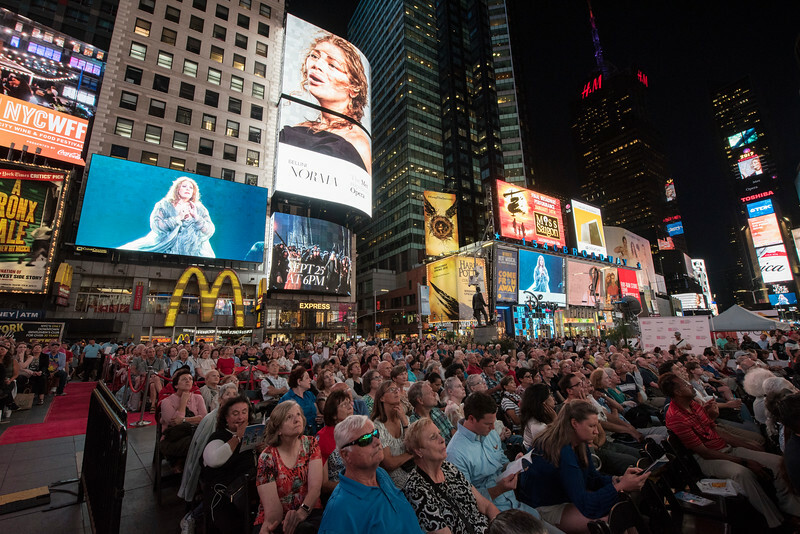 Metropolitan Opera’s Met in HD series, funded by private donations and corporate sponsorships, continues to screen opera in cinemas around the world and in our country, effectively has a monopoly on live opera on screen. Canadian content in this global boom of opera accessibility online? Exactly zero. No Canadian opera company has managed to stream or screen a single production since the dawn of the internet.While our singers are our greatest cultural export today (sorry, Québec filmmakers), Canadian-produced streamed operas remain an obscurity. Canadian opera does not exist for the international opera viewing audience, but more grimly, isn’t available for Canadians either: people from Kelowna, Regina, Thunder Bay, Fredericton or Halifax are much likelier to have watched the Met in HD, Berlin Philharmonic, Festival d’Aix-en-Provence, Zagreb National Theatre or Latvian National Opera than anything from the Canadian Opera Company, Orchestre Metropolitain, Edmonton Opera or NAC Orchestra. The reasons for this absence are multiple, but the first glaring one is the near total withdrawal of CBC television from any arts coverage—and the very modest remnants of classical music on its radio. It’s a matter of funding cuts, yes, but also, of programming priorities. The proliferation of live-streaming in Europe is due largely to national, public broadcasters prioritizing the recording of live arts performances. They thereby shoulder the costs of a ‘product’ that will ultimately be streamed, released on DVD and televised. Denise Ball, the Vancouver-based executive producer at CBC Music for Saturday Afternoon at the Opera, Backstage with Ben Heppner and In Concert, reminds me in our email conversation that live classical audio is not entirely gone—what they do record for radio are concerts; primarily recitals and chamber ensembles, focusing on young, emerging artists or star names, and they video stream certain competitions (Honens and Concours musical international de Montréal). All of which is still a fraction of what France Musique and France Culture, or BBC Radio 3 and 4 do, online and on the air. As an associate member of the European Broadcasting Union, CBC Radio can access operas and orchestral recordings from other European broadcasters, and some of those are aired on Saturday Afternoon at the Opera, the show that not too long ago featured opera produced by Canadian companies. That is now gone for good. The negotiation of recording fees between the artists’ unions, Canadian Opera Company and the CBC collapsed five years ago and have not been productively resumed since. COC’s General Director Alexander Neef and Canadian Actors Equity Association’s Executive Director Arden R. Ryshpan both confirm that indeed, the two organizations could not work out a compromise regarding the use-of-work fees that Equity tried to negotiate on behalf of the artists it represents: all the singers, choreographers, stage managers, directors and fight directors. The impasse was compounded by the withdrawal of the CBC: there was a time when the CBC paid the bulk of the rights fees and owned the recording product. A few years back, it excused itself from paying these fees, downloading that duty to the COC. When I spoke with him about this issue, Neef explained that substantial up-front rights fees for non-commercial recording is not something the COC is able to pay. They cannot justify allocating funds to pay for radio transmissions when that money could be spent on their productions. Ryshpan, when I met with her at Equity, made the case that the union cannot agree to this additional use-of-work, whether commercial or not, without adequate compensation for its members. The twain therefore remains unmet, while the CBC continues to re-broadcast opera from other countries on Saturday afternoon. And while Canada was trying and failing to get its opera on the radio, video streaming of opera took over globally, making the airwaves seem quaint in comparison. If you’re lucky to be an opera house in France, video streaming will be a source of income rather than expenditure since France Télévisions’ five public channels record live performing arts extensively. Culturebox, the online livestreaming hub that also serves as an archive for performing arts in France, was created to provide 24/7 access to opera, concerts and theatre, which TV channels tended to relegate to late night and the depth of summer. Mathilde Michel Lambert, until recently Head of Content at Culturebox and now, Director of Projects at Philharmonie de Paris, explains via email that while the original motive was to make these programs easily available to the French, about 90 percent of the 600 shows transmitted annually on Culturebox remain non-geoblocked and are therefore available for global viewing. In France, there are virtually no houses or orchestras that act directly as content producers to record their own performances, as there’s generally no need to bypass the already existing TV infra- structure, but they can negotiate recording fees directly with the channel. “In a few cases, when they are really motivated to record a specific event, the musicians agree not to receive additional fees for the recording,” Lambert says. For German opera houses on the other hand, there are a couple of models in circulation. 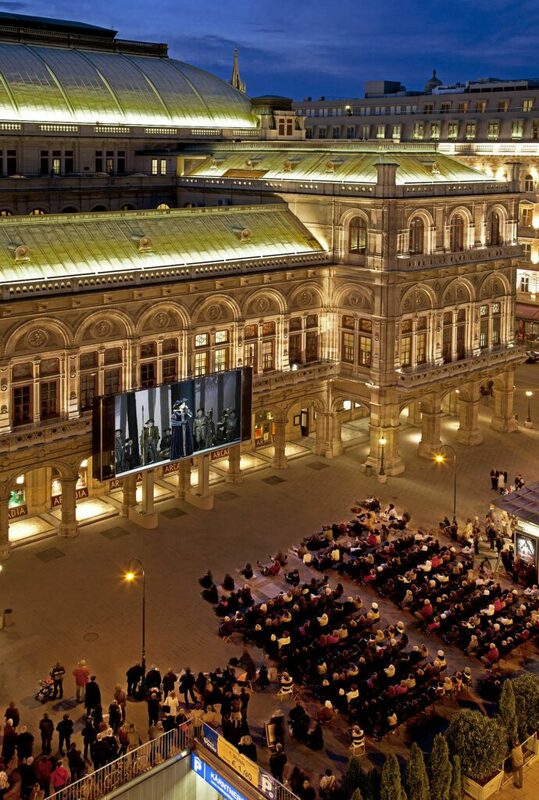 Bavarian State Opera has its own in-house recording and streaming system created in 2011 which used to offer live-only transmissions without replay options. This has changed over time, and brief on-demand periods are now available for each streamed performance. Christoph Koch, BSO’s Press Officer, tells me in an email they decided to stream because of a desire to make their art accessible to as many people as possible. At BSO, it’s the new productions or those conducted by Music Director Kirill Petrenko that get selected for streaming. An in-house streaming operation is not cheap, Koch confirms, “but we have been experimenting with different approaches over the last couple of years and are now at a pretty reasonable number. Also, we can only offer this for free thanks to great support by the State of Bavaria.” As for artists’ fees, live-streaming of new productions is included in artists’ contracts. Komische Oper Berlin started streaming a bit later, in Oct. 2015 on Opera Platform, which has since become OperaVision.eu. 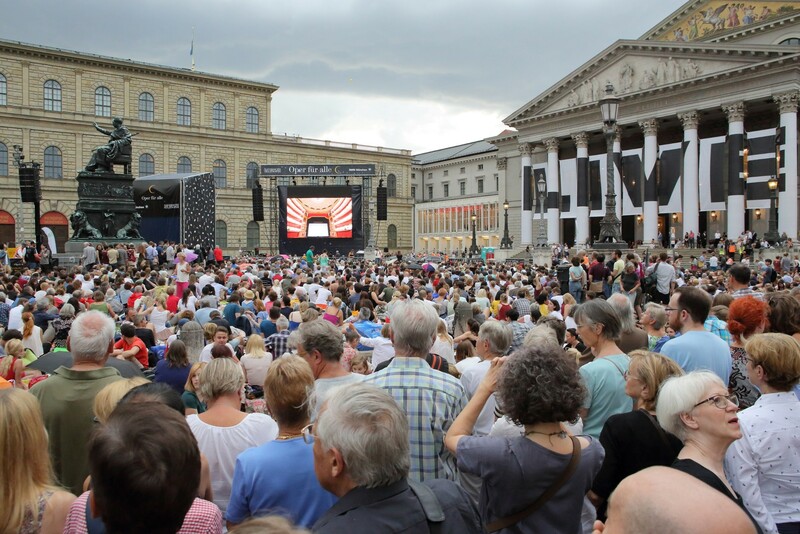 Dr. Andrea Röber, KOB’s Press Officer, says that being among the two opera houses in Germany selected for the Opera Platform project—and receiving some extra funding—helped to get them started. “It fitted well into our general strategy of ‘opening up’ which we are actively pursuing. At the time the idea of streaming came up, we had been aiming for awhile to make barriers to access our house as low as possible—free online streaming works very well in this context and in a way, is a logical consequence of low ticket prices, a strong pedagogy department, community work and our various outreach projects. Streaming one opera usually costs around EUR 45,000, says Röber. “We employ a production company including a director for the streaming itself. The intermission program is created by another production company, which also makes our trailers.” They exclusively cooperate with OperaVision now, whose videos are hosted on YouTube, embedded on their own website, as well as KOB’s. “We maintain a good, direct relationship with our musicians’ collectives and have to negotiate with them to make this work. The fees for the musicians—along with the costs for the broadcasting rights of the pieces—make up a great share of the costs of each streaming. Back to Canada: how could streaming or video recording be financed here? Streaming individual company’s performances would not qualify for the Canada Council’s new Digital Strategy Fund which is designed to administer grants for strategic (multi-organization, long term effect) projects, as was clarified by DSF Director Sylvie Gilbert in a phone conversation. If a few opera companies came together and proposed something that would bring about “change in the sector as a whole,” that would certainly be considered.The list of 2017/18 recipients of the Fund’s $6 million can be consulted on the CCA’s website. Government funding for Canada 150 made all the difference to the Toronto Symphony Orchestra, which recently completed an unprecedented year of digital growth. TSO’s [former] Director of Digital Content, Michael Morreale, says they are aware the Sesqui year was exceptional and not likely to be repeated anytime soon, but that they also now have a working model and know exactly what to do in the future. “We put a lot of the recordings of concerts online thanks to the new funding. Out of those we developed shorter clips for social media sharing. “The numbers surprised us—we were aiming for 3 million views total, but we are way beyond that now, and engagement was through the roof. There is great demand for the TSO online. And on the air: our Sunday night radio show on Classical FM used to get 40,000 people tuning in every week.” Recording a concert at Roy Thomson Hall costs the TSO about $30,000. The company decided not to stream live but post the recorded and edited concerts on TSO’s YouTube channel instead. There is however one (and only one) performing arts organization in Canada that did manage to develop a digital distribution system both online and in cinemas: Stratford Festival. Anita Gaffney, the Festival’s Executive Director, spearheaded the program. She started off by studying how other organizations do it, in particular the UK’s National Theatre with its NT Live. “We thought there would be something in it for us to help heighten the profile of the Festival…and give us an asset that we’d be able to use with schools. We also wanted to preserve performances of some of our great artists,” she says on the phone from Stratford. They had to raise money to make it happen: an application for an economic development grant from the Federal Economic Development Agency for Southern Ontario brought in the funds which got the project started. “We also put together a number of private donors to get the first few seasons of Stratford Festival HD filming. We continue to get support from private donors and we also have a sponsorship with SunLife. “A little bit of earned revenue comes back to Stratford at the end of the cycle, but not enough to make the filming self-sustaining. There are deals with Cineplex and the CBC (which also broadcasts the Festival’s Forums on CBC Radio’s Ideas). Streaming and DVDs for the education market generate some revenue as well. It took some time to reach an agreement about artist fees with the unions, but they got there. “We wanted to be fair to everybody…the artists are working and preparing for this, and their work will be generating revenue for broadcasters and other outlets, so it’s only fair.” The Festival has a catalogue of ten Shakespeare plays on film now, available for purchase and rental on Google Play, Amazon and iTunes. A non-revenue generating model might work better for Canadian opera companies, as there is already so much great opera available for free streaming online, which isn’t the case with productions of Shakespeare’s plays. The education market would likely be smaller for opera films as well. It remains to be seen though whether any Canadian opera company manages to break the North American curse and put video recorded opera on the internet so that the world—and Canadians themselves—can see that we too make great opera. Please consider donating to help us keep bringing you quality opera stories like this one. Revenues from subscriptions and advertising hardly begin to cover the cost of producing a magazine. Your donation to Opera Canada helps to sustain our almost 60-year history of well-researched, independent, arts journalism. I have asked Canadian Opera Company, Vancouver Opera, and City Opera, in Vancouver, and this answer I get from each of them, and, I quote: “It’s too expensive and not in our budget”. I have suggested collaborations, financing, and funding options with various film/video production entities, in/outside of Canada, and, still the answer is: “It’s too expensive and not in our budget”.